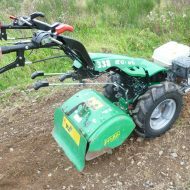 The 9 hp Power Harrow, an alternative in ground preparation. 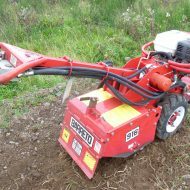 This machine is ideal for use on broken soil. It produces a fine even tilth without digging up the same amount of stone or debris as a rotavator might. 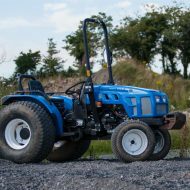 The rear height adjustable roller ensure that the blades operate at a consistent depth. Be sure to consider the operators manual before use and always wear protective wear.